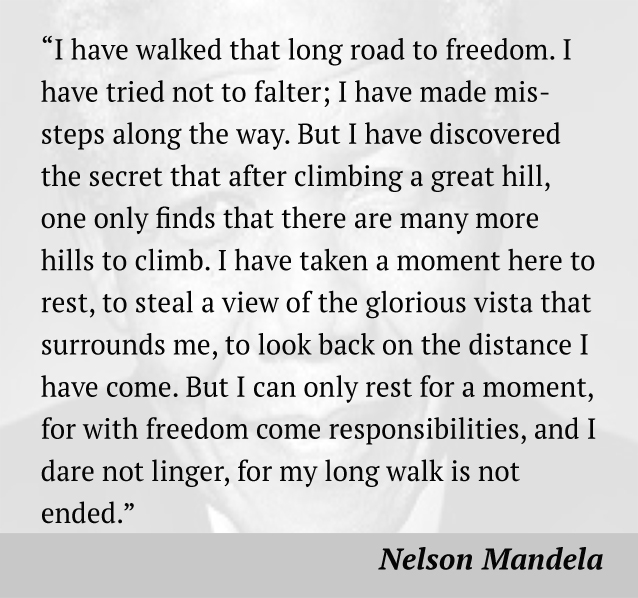 Quotes by Nelson Mandela South Africa most famous anti-apartheid figure, political figure, husband and father. Nelson Mandela served as President of South Africa from 1994 to 1999. 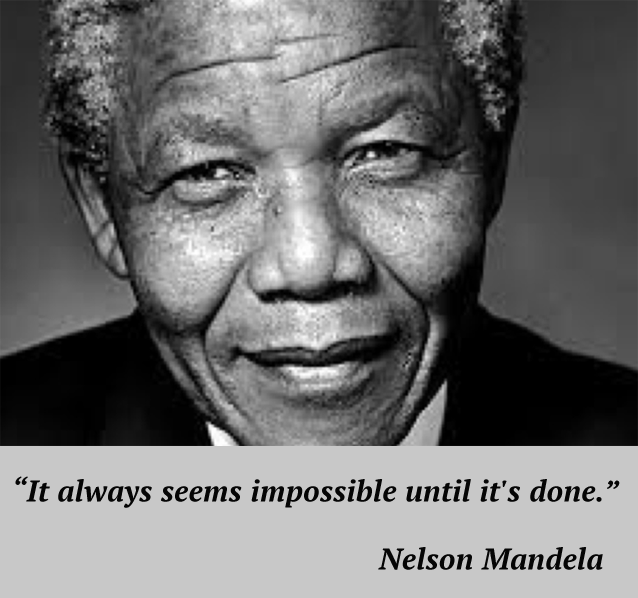 Global icon Nelson Mandela was born July 18, 1918, in Mvezo, South Africa died December 5, 2013, Houghton Estate, Johannesburg, South Africa. Nelson Rolihlahla Mandela father was Hendry Mphakanyiswa of the Tembu Tribe his mother was Nonqaphi Nosekeni. Mandela was educated at University College of Fort Hare and the University of Witwatersrand where he studied law. He joined the African National Congress in 1944 and was engaged in resistance against the ruling National Party's apartheid policies after 1948. He went on trial for treason in 1956-1961 and was acquitted in 1961. After the banning of the ANC in 1960, Nelson Mandela argued for the setting up of a military wing within the ANC. In June 1961, the ANC executive considered his proposal on the use of violent tactics and agreed that those members who wished to involve themselves in Mandela's campaign would not be stopped from doing so by the ANC. This led to the formation of Umkhonto we Sizwe. Mandela was arrested in 1962 and sentenced to five years' imprisonment with hard labor. In 1963, when many fellow leaders of the ANC and the Umkhonto we Sizwe were arrested, Mandela was brought to stand trial with them for plotting to overthrow the government by violence. His statement from the dock received considerable international publicity. On June 12, 1964, eight of the accused, including Mandela, were sentenced to life imprisonment. From 1964 to 1982, he was incarcerated at Robben Island Prison, off Cape Town; thereafter, he was at Pollsmoor Prison, nearby on the mainland. Nelson Mandela was released on February 11, 1990. After his release, he plunged himself wholeheartedly into his life's work, striving to attain the goals he and others had set out almost four decades earlier. In 1991, at the first national conference of the ANC held inside South Africa after the organization had been banned in 1960, Mandela was elected President of the ANC while his lifelong friend and colleague, Oliver Tambo, became the organization’s National Chairperson.